No cowboys allowed. That is Stacy Smith’s motto. Having overcome a rough childhood, she vows to not repeat the same mistakes that her mother made. Writing bestselling romance novels as Sabrina Noelle, she is happy to stay in her ivory tower, creating perfect worlds for her heroes and heroines that keep her busy and her heart whole. Texas Ranger Davis McKenna handles crisis situations on a regular basis. But when he is stranded in a hotel elevator with a gorgeous woman on the verge of panic, he soon realizes that there’s more at play than just his protective instincts. 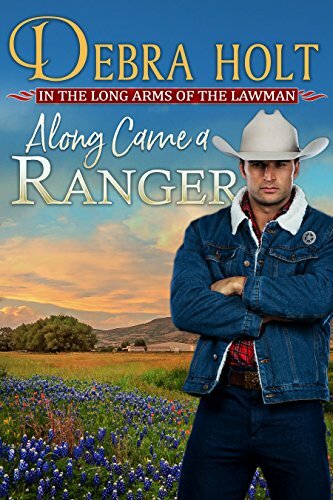 Take one determined Texas Ranger and one equally stubborn romance author and there is bound to be a showdown at high noon where desires and hearts are concerned. Can Stacy risk opening her heart to the man who represents everything she never wanted?